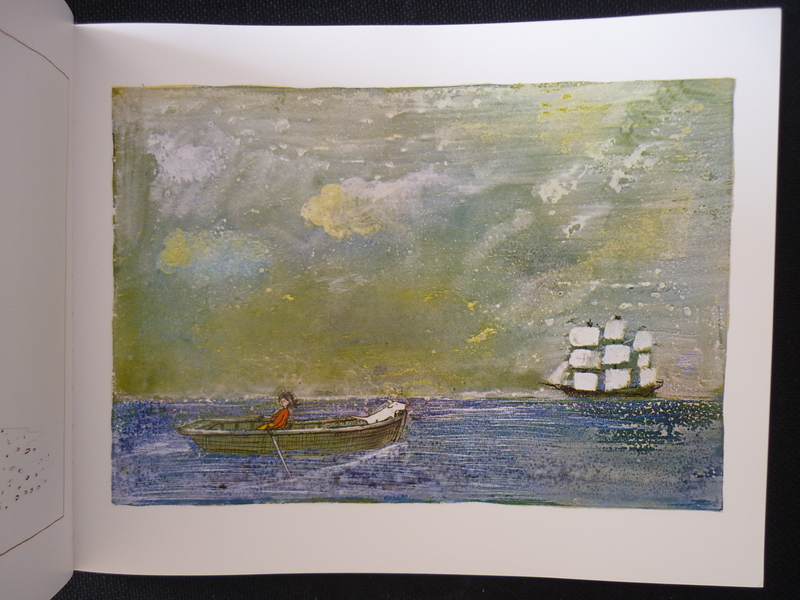 Shirley is on a rowing boat and sailing across the sea with a dog, nowhere near the beach and rowing in the middle of the sea and about to come across a pirate ship. 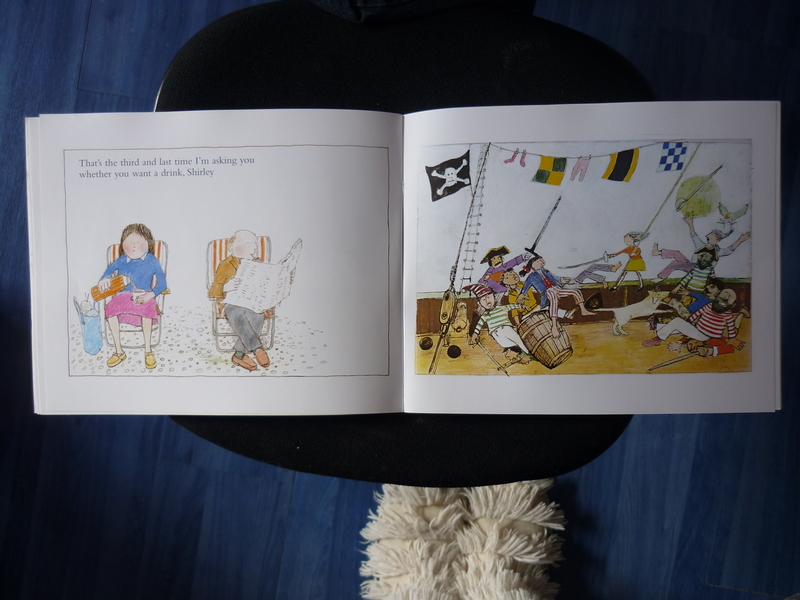 Again, this is the full image of the double page spread and the parents are now taking care of themselves asking if Shirley would like a drink but she is too busy fighting the pirates. I think it is clever how there are two stories running either side of each other and you don’t get confused of what is going on. It allows the reader to see something that the two main characters can’t see which allows them to get involved. The last page of the book and there are no words to explain what is going on, although you can guess what is going on if you have read the book. This is what I like and struggle with, to illustrate an image without the use of words, I am always tempted to use words just to finish it off. Of course you don’t always need that. When creating a story book I would automatically go for the obvious here is the picture and there are the words to explain what is going on. However, I would love to try and create a story that uses this clever technique of showing the viewer what is going on when the main character can’t creating a pantomime sort of feel. 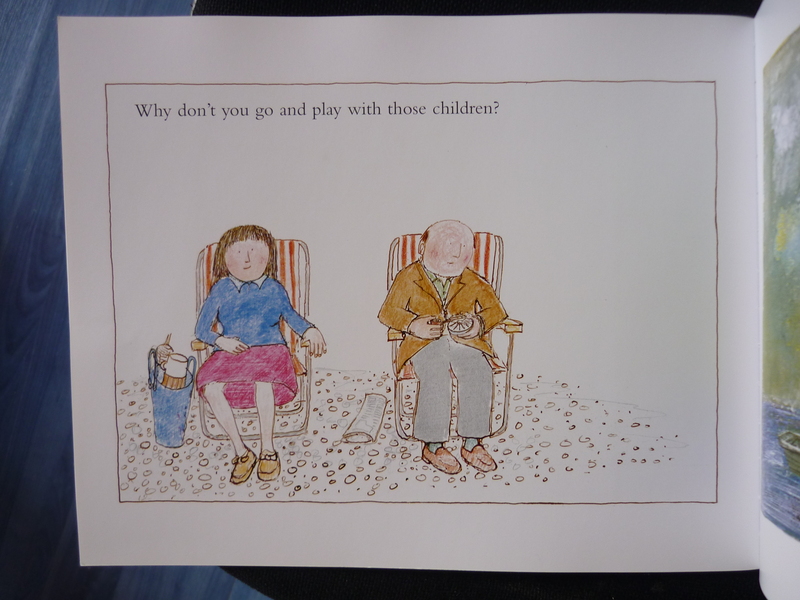 Similar to the Cockatoos by Quentin Blake. 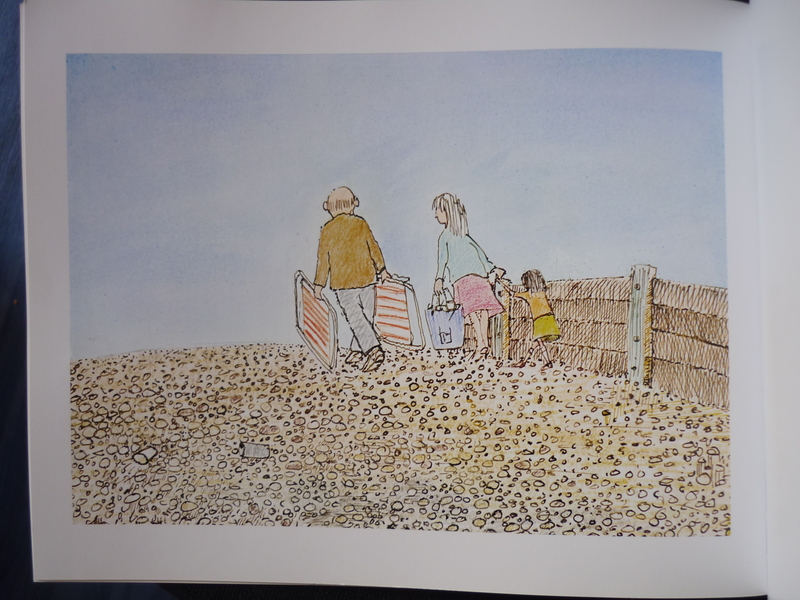 Burningham, J., 2000, Come away from the water, Shirley. London: Red Fox. Jabar, C., 2010, My Top 10 Awesome Picture Book Friends, [internet] Available from: http://www.transmediakids.com/2010/10/my-top-10-awesome-picture-book-list.html, [Accessed 18 March 2014, 3.30pm]. 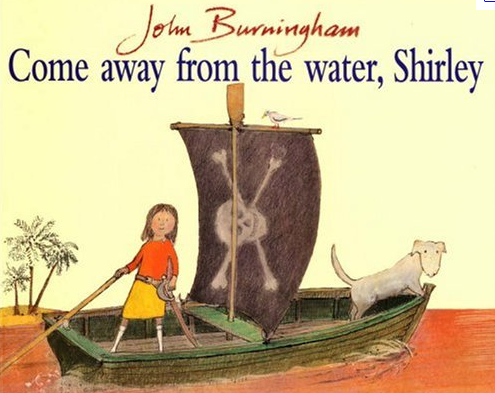 This entry was posted in Shirley by John Burningham - review.